I’m currently volunteering one day a week at UAL’s Archives and Special Collections Centre (ASCC), based at London College of Communication in Elephant & Castle. This week, I got to join one of the tours given to students. 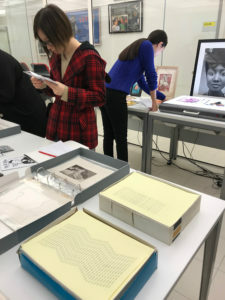 The tour took place in the search room, which is where visiting researchers sit to explore the online catalogue and examine the objects they request to view. Next door is the temperature controlled strongroom where the objects are stored, which contains 1,500 metres of shelving! The ASCC is famous for being the home of the Stanley Kubrick Archive, which is the largest archive held there, but there are also 20 other collections based around the strengths of the College and the University. 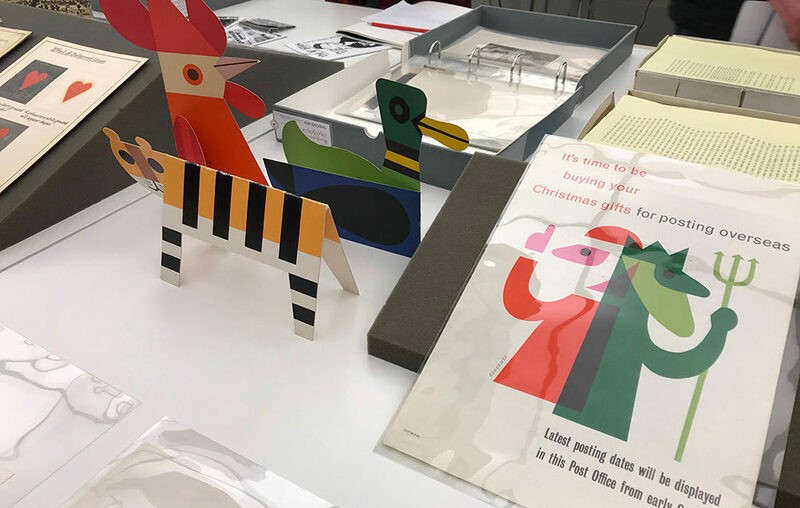 The objects that were laid out for our tour started with leaflets from Streets Advertising Agency (1950s-70s) and examples of monotype from the John Westwood Collection which were used as teaching aids at what was then called the London College of Printing. We also viewed some fascinating pieces from the Tom Eckersley Collection (the work of a twentieth century graphic designer with a very distinctive style, see top image), a chocolate mould from the David Usborne Collection (unusual functional objects that were collected purely for their aesthetic appeal), the Her Noise Archive, and a framed portrait photograph from Colin Jones’ 1970s project The Black House. The ASCC also looks after the Les Coleman Collection, which is a significant assembly of comics from the North American underground and alternative comic book movements. Well worth a look if you’re interested in rare and unusual comics! And, of course, there’s the extensive Stanley Kubrick Archive. 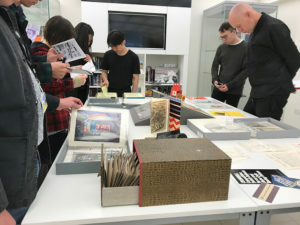 We got to look at Jack’s manuscript from The Shining, a tiny portion of Kubrick’s costume and location research, and also some poster designs for A Clockwork Orange. Thanks very much to Georgina Orgill and Robin Sampson for a very informative tour around some of the interesting and varied objects in the collections. The ASCC is open to researchers 1-5pm Monday to Friday. 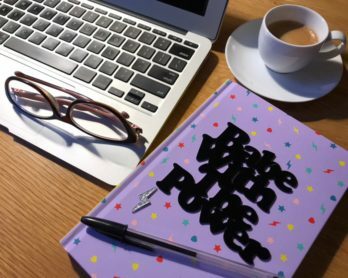 If you want to book an appointment, email archive-enquiries@arts.ac.uk.